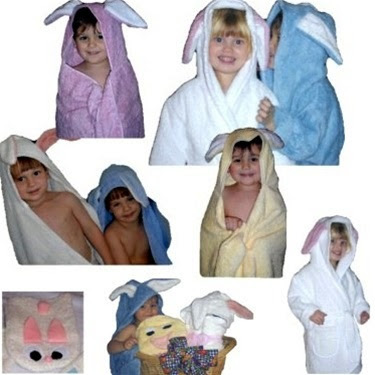 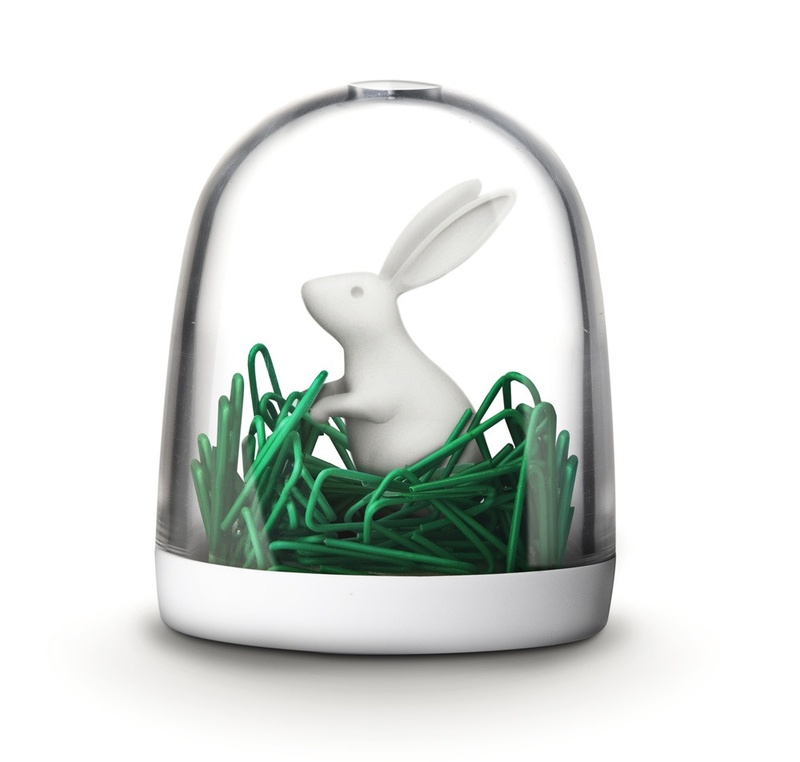 Collection of 'Cool Bunny Inspired Products and Designs' from all over the world. 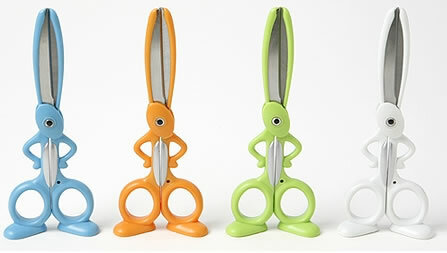 Salad Bunny: These cool bunny inspired salad servers are sure to make a cool addition to your dinning table. 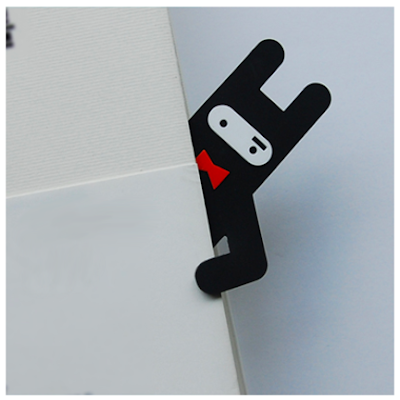 Masked Bunny Bookmark: This cute bookmark is made from rubber so that it can hold onto pages well. 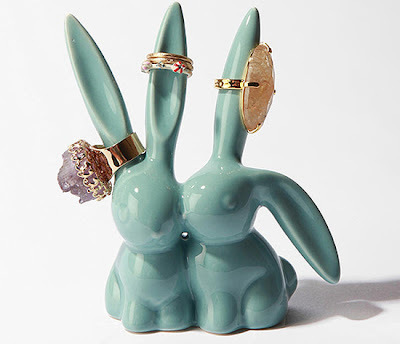 Bunny Ring Holder: These adorable figurines made of ceramic comes with extra long ears to hold your rings. 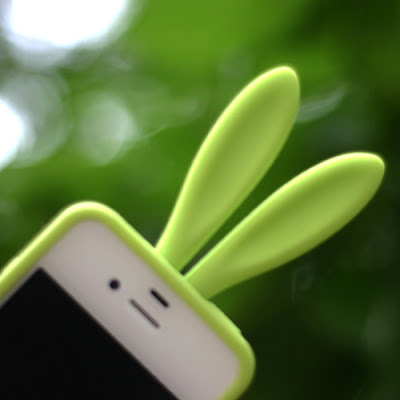 Rabito iPhone Case: Cute little iPhone case comes with bunny ears and tail. 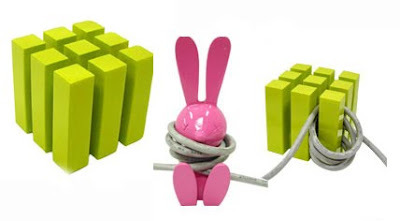 Cube and Bunny Cable Organizers: This organizer has two unique ways to keep your cables looking neat and tidy. 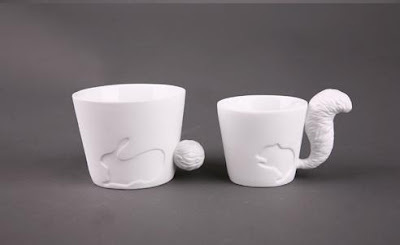 Mugtail Animal Cups: The tails of rabbit, cat, deer and the squirrel acts as the handles for these cool cups. 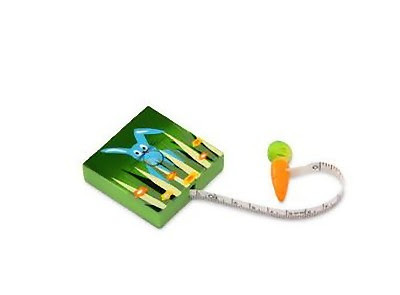 Bunny Tape Measure: There is a practical tape measure hidden inside this colorful box. All you need to do is pull out the tail when you need to measure something. 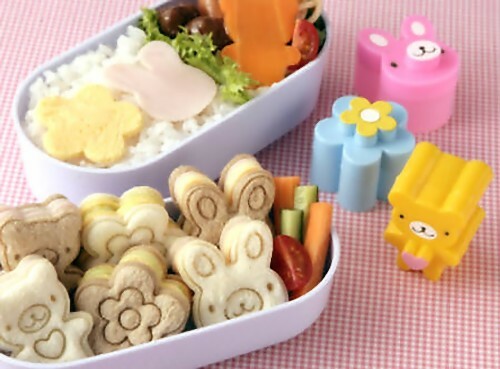 Bunny Sandwich Cutters: These cool cutters come in shape of bear, flower and rabbit and also imprint the animal image onto sandwiches. 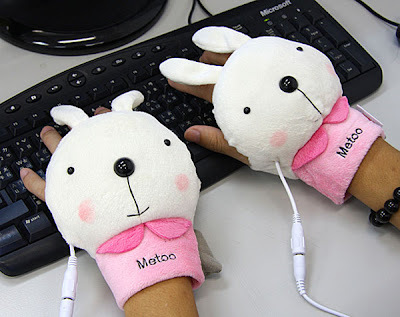 Bunny USB Gloves: With these warmers you can coolly type on your laptop without getting your hands chilled; just connect it into the USB port to heat up. 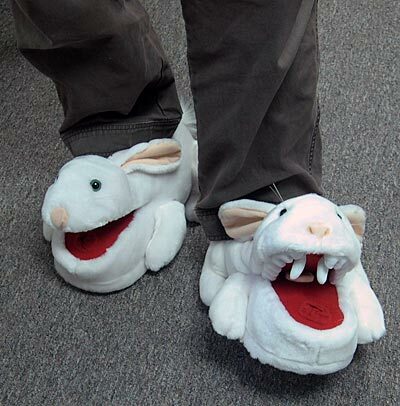 Bunny Slippers: When you walk, the mouth of these cozy slippers opens and closes. 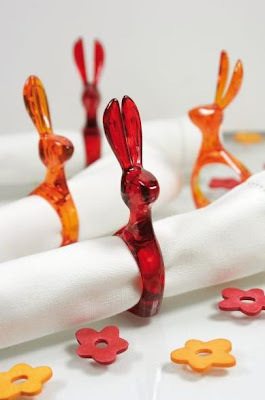 Bunny Napkin Holder: These are made from high quality translucent or solid colored plastic. 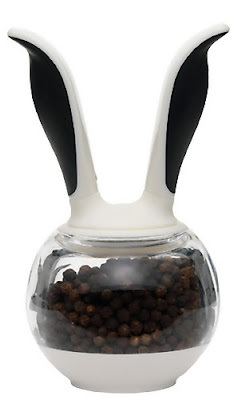 Ball Pepper Mill: The curved handles of this pepper mill extend upwards for easy use. 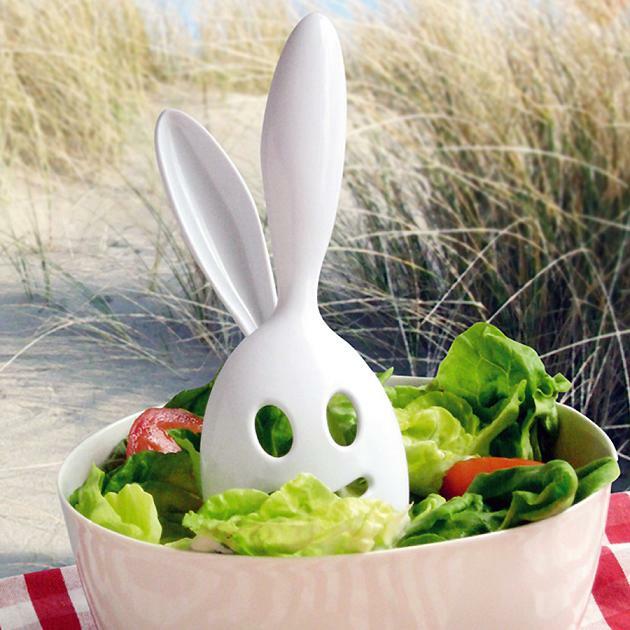 15 Cool Aprons and Creative Apron Designs - Part 2.